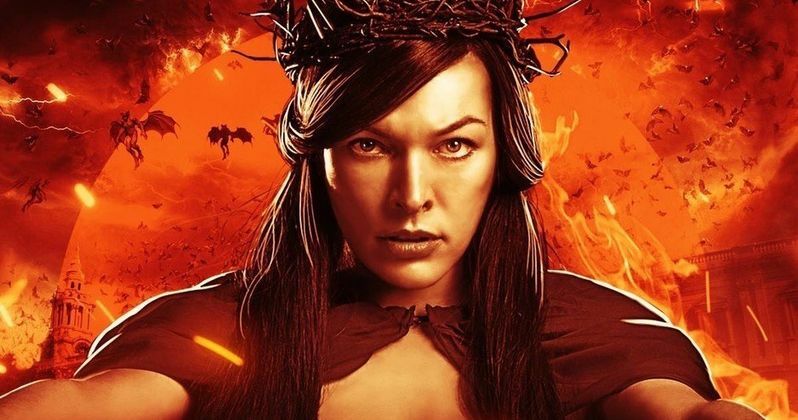 Hellboy is getting trashed by critics and Blood Queen actress Milla Jovovich has the best response. As of this writing, the reboot has a 15% Fresh Rating on popular review site Rotten Tomatoes, with nearly all of them trashing the movie. There have been rumors that things weren't very pleasant on the set, but Jovovich paints another picture without directly addressing the stories from unnamed sources, while at the same time showing a different point of view about acting in movies and then seeing the response to them. "It's always stressful on opening weekend and Hellboy is no different. You work super hard to make something fun and entertaining and have to absorb the negative reviews by movie critics, but hey! THAT'S SHOWBIZ BABY." However, that was just the tip of the iceberg of what Milla Jovovich had to say. The actress believes some time is necessary to fully embrace Hellboy in the eyes of the general public. There are people who love what Neil Marshall brought to the table and others who have praised David Harbour's take on the character. Jovovich explains. "All I'm gonna say before going to bed is this: All my raddest films have been slammed by critics. It's f*cking hilarious. Dazed and Confused? Seriously? Classic movie. The Fifth Element! You would have thought that was the worst movie ever made if you read the reviews in like '98. Zoolander? Slammed. Joan of Arc? Disaster. Resident Evil? Let's not even go there. Anyway, every one of those films is now a cult classic. EVERY. SINGLE. ONE. And this will be too." Milla Jovovich brings up some good points about movies and time. Who knows, maybe she is right and Hellboy will become a cult classic in the years to come. It's hard to see now with all of the negativity surrounding it, but it's always that way when something first comes out and isn't what people were expecting. Just ask Rian Johnson, director of The Last Jedi. You can read all of what he Hellboy actress had to say below, thanks to Milla Jovovich's Instagram account.